Pope Francis just joInstagram! 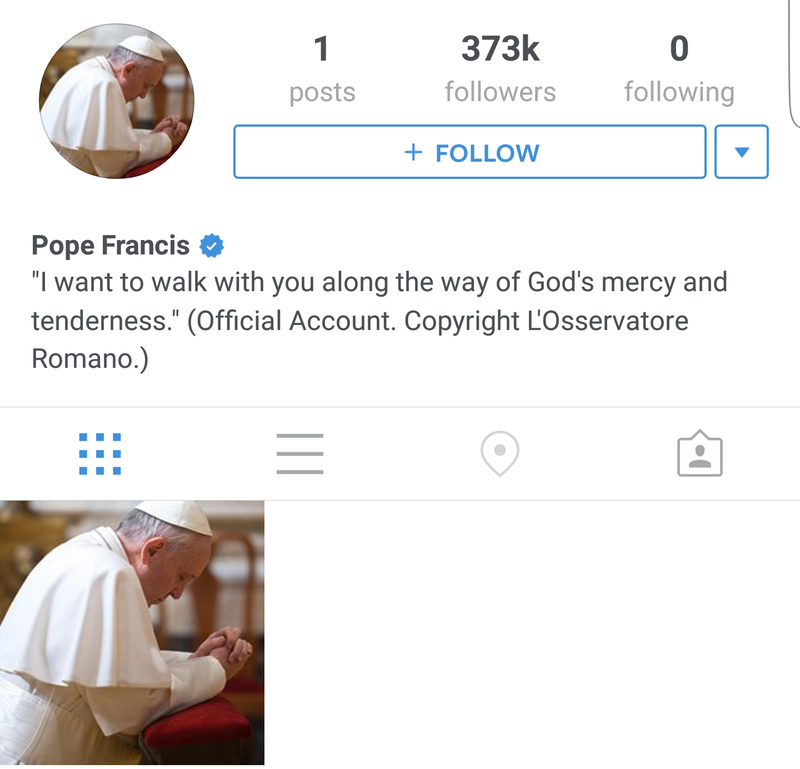 The Catholic pontifex joined Instagram a few hours ago and already has over 373,000 followers. He made a post where he asked people to pray for him in different languages.